I don’t know where my fixation on lottery memorabilia came from I don’t know why I find this stuff interesting. I guess it had to do with the way I grew up. Up until my grandfather came to live with us at age 10, we only had free television. In the Chicago suburbs, that meant we had WBBM Channel 2, WMAQ Channel 5, WLS Channel 7, WGN Channel 9, WTTW Channel 11, and WFLD Fox 32. There were others, if you were lucky with your rabbit ears, but those were the ones we got. As such, we would watch the news on WGN, which was what my family liked. All the pre 1934 lotteries had one major drawback that kept them from being as accepted as it is today. They were easily rigged, and people lost money on the racketeering that took place around them. Today, the equipment, the drawing, the tickets, and every other aspect is heavily supervised and regulated so that this kind of cheating is not possible. The level of security for a drawing is high, due to the amount of money involved. To say that Florida has a major connection to NASCAR is a masterpiece of understatement. NASCAR itself was founded at The Streamline Hotel in Daytona Beach, and the Cup Series’ second race was held at The Daytona Beach and Road Course. 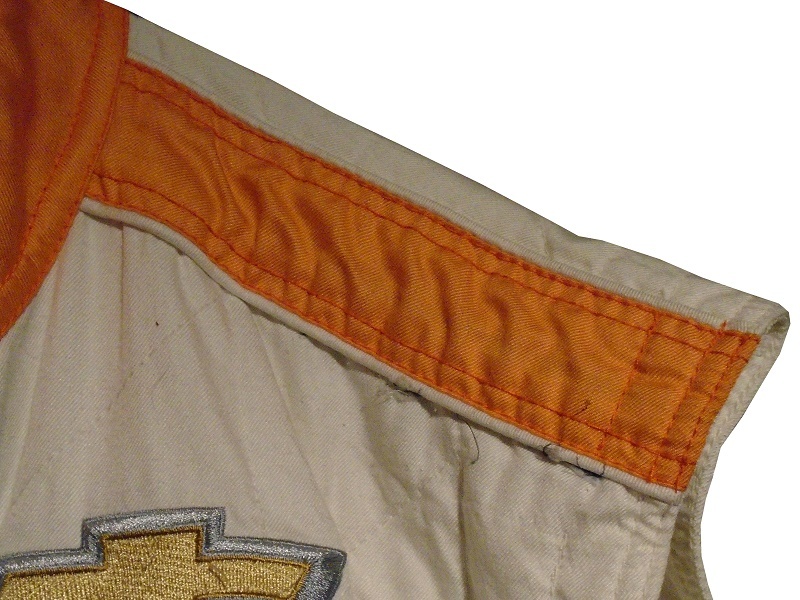 NASCAR’s most important race, the Daytona 500, takes place every February. The Florida Lottery was started on January 12, 1988 by order of a constitutional amendment approved by Florida voters by a 2-to-1 margin in the general election of November 4, 1986. It was meant to generate income for schools. As the popularity of the lottery increased, the Florida Lottery began sponsoring southern-based races for individual race teams, including James Buescher in The Xfinity Series in July, 2013. 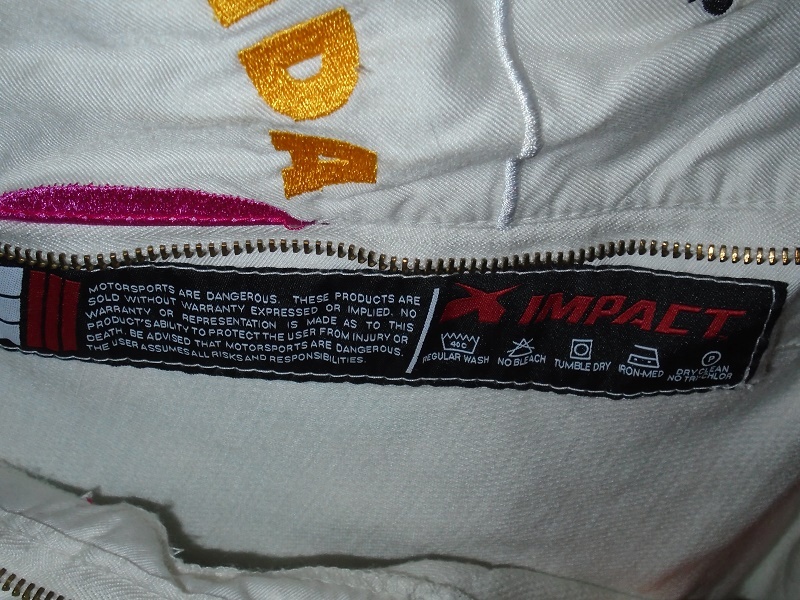 One of the crew members wore this Impact vest. 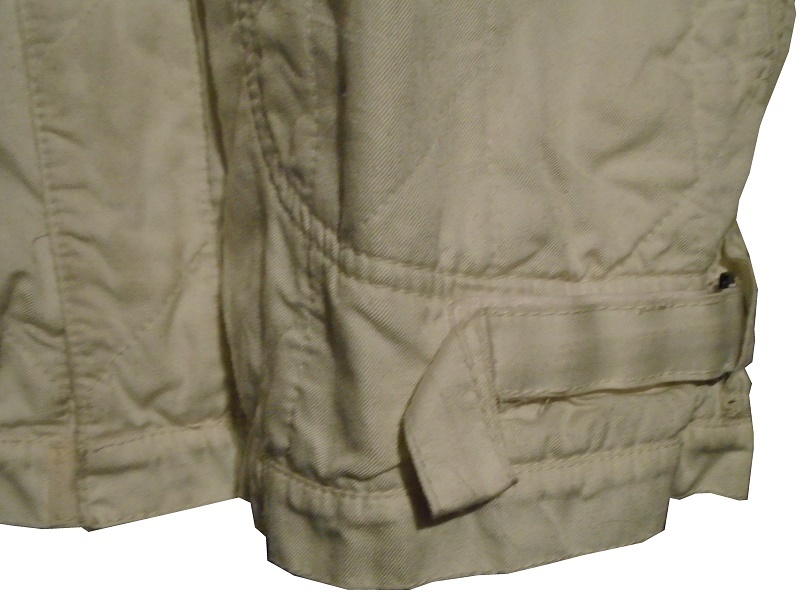 The vest shows light use. 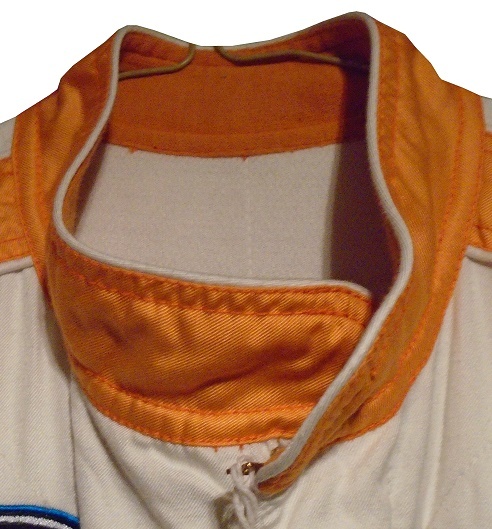 The orange collar is a standard collar, and is unadorned. There is no tag present in the cowl. 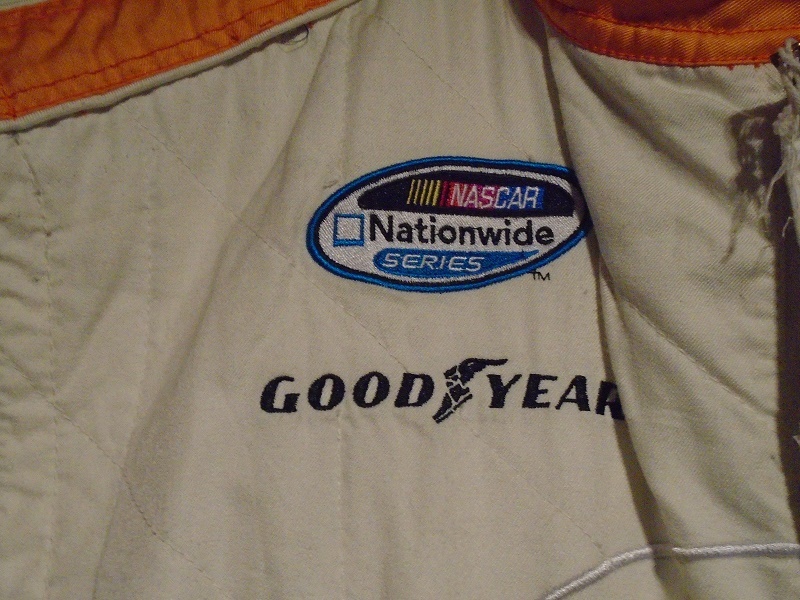 The right chest features a NASCAR NATIONWIDE SERIES logo, and a GOODYEAR logo embroidered into it. 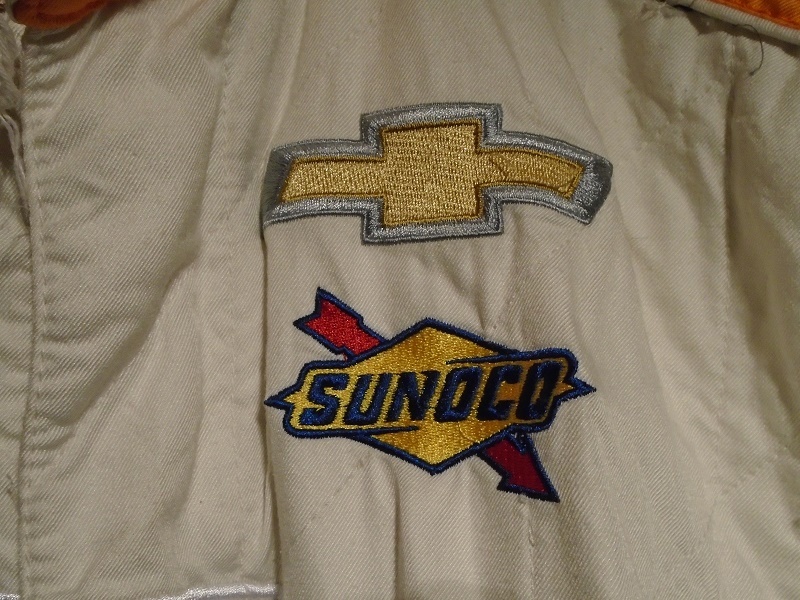 The left chest features a Chevy bow tie logo, and a SUNOCO logo embroidered. 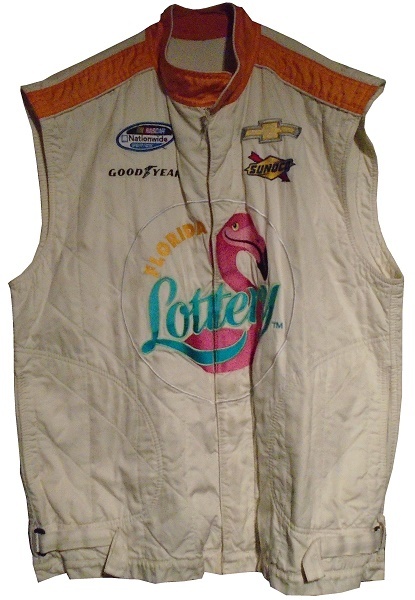 The front torso features a FLORIDA LOTTERY logo embroidered into the white material. 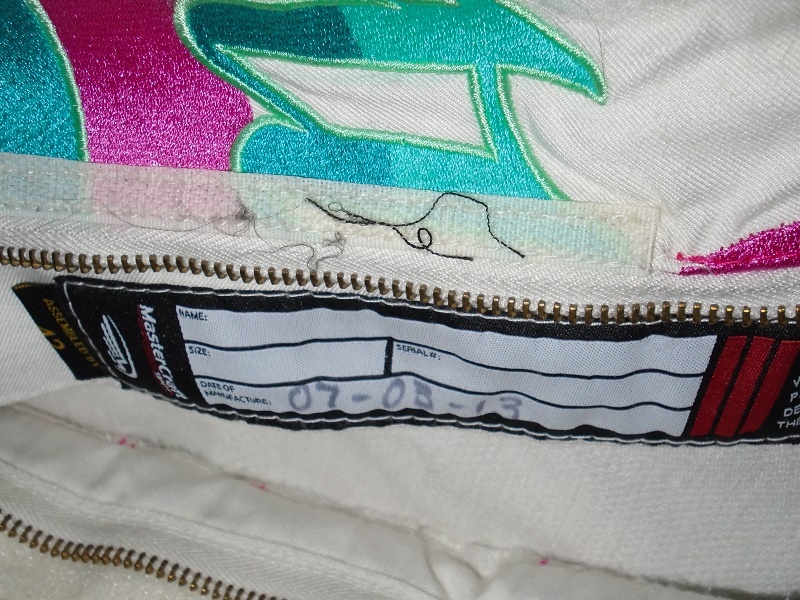 Inside the front zipper is the Impact warranty label and identification tag, which has 7-3-2013 written in Sharpie on the tag. 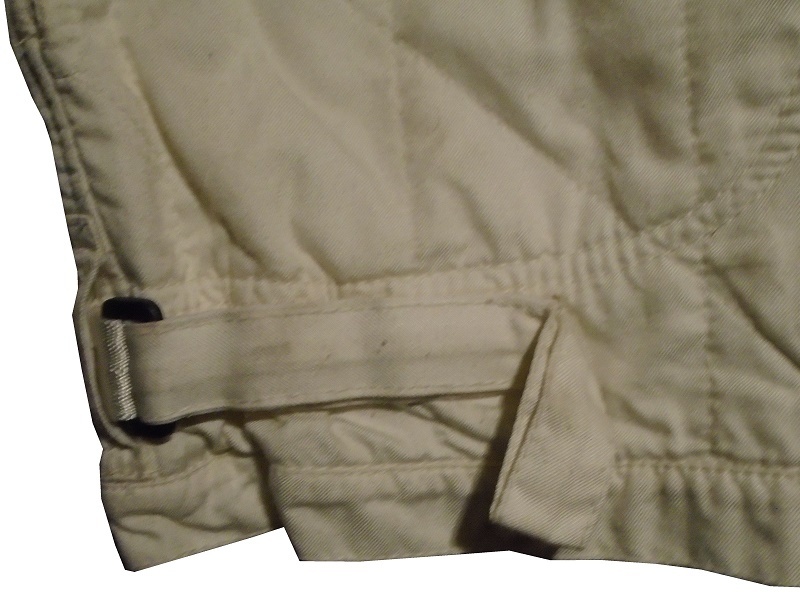 The hems have Velcro comfort straps on the sides, under the arm holes. 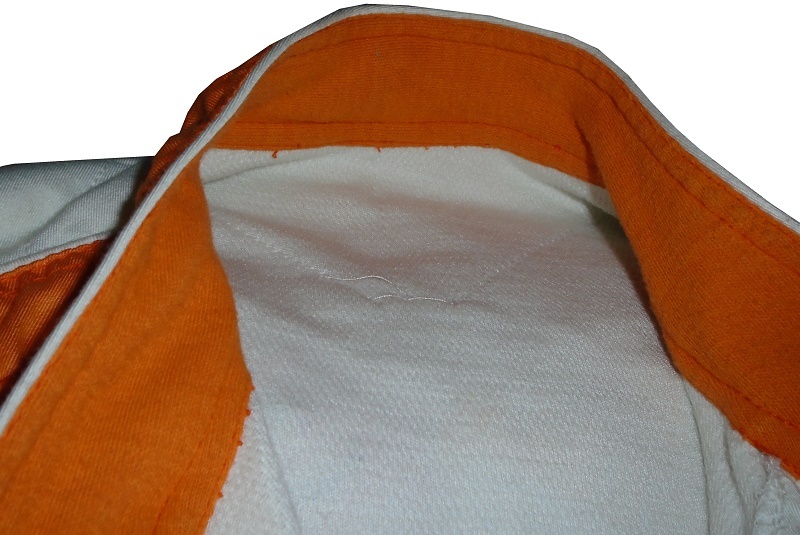 The orange shoulder epaulets are unadorned, and the vest has standard arm holes. 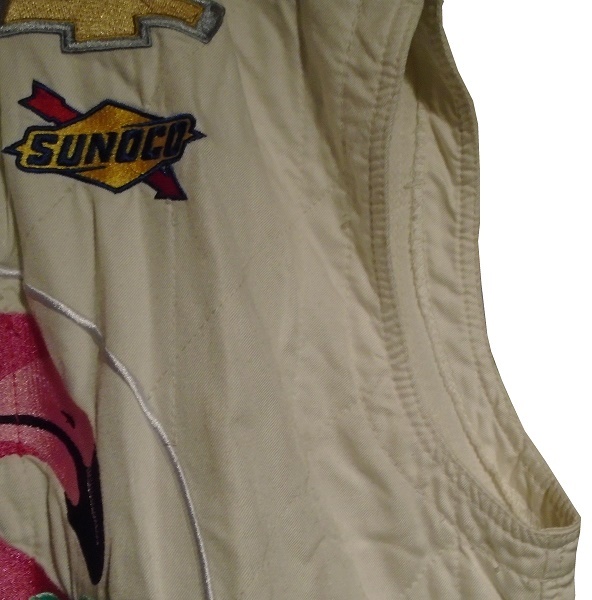 The back of the vest doesn’t have much wear to speak of. 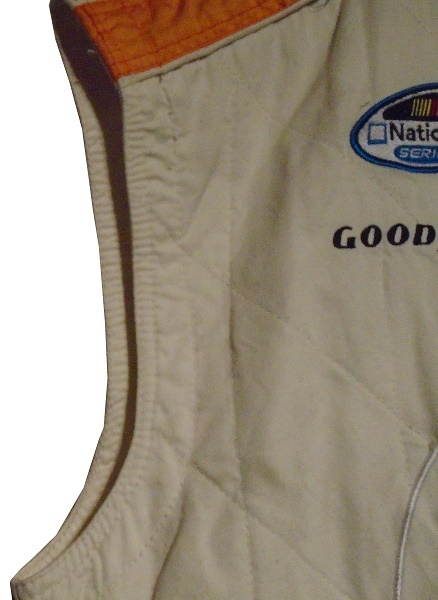 The back of the neck has an Impact Racing logo. 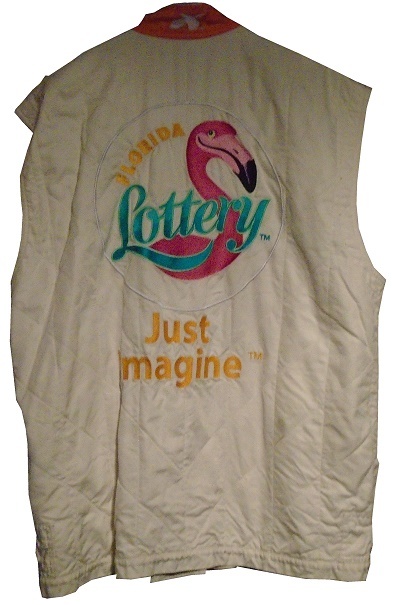 The back torso features a FLORIDA LOTTERY logo, with JUST IMAGINE underneath. 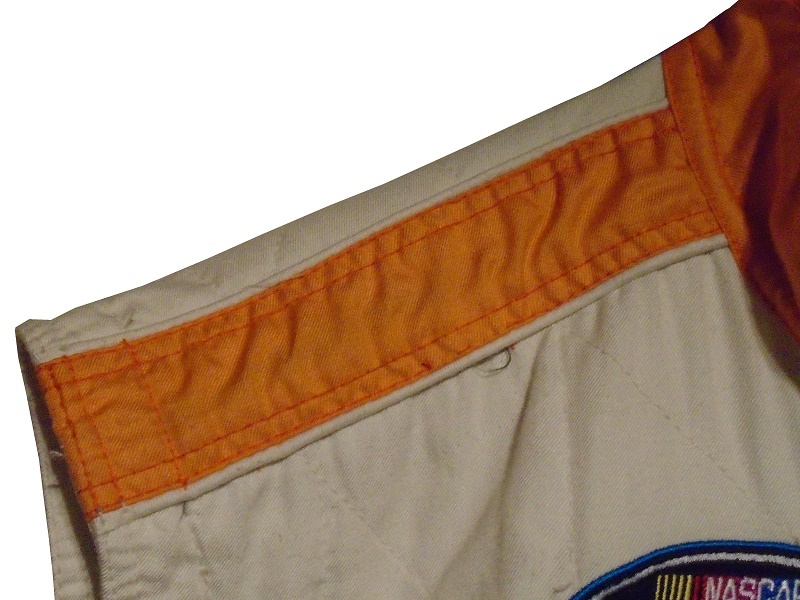 Next Week the last vest project…for a while.